The ability to collect, and distribute reviews is growing in importance as potential customers rely on reviews to influence their purchasing decisions. Our Growth Engine is designed to help you easily collect reviews from your website, Facebook page and through email outreach. Driving visitors back to your website is important, but what you show them when they arrive is even more important. Sharing social validation on your home page is critical. As part of our Growth Engine, our website home pages include a testimonial section that displays testimonials from families served, but also encourages them to write their own review. 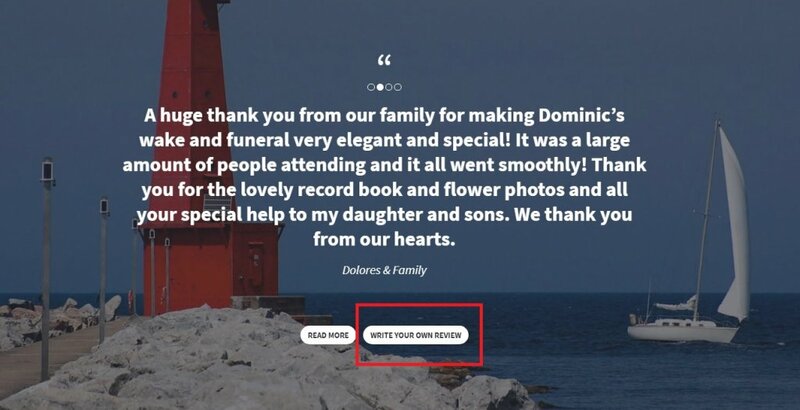 Community members interested in leaving their own review are sent to a landing page within your Growth Engine website to share their experience. 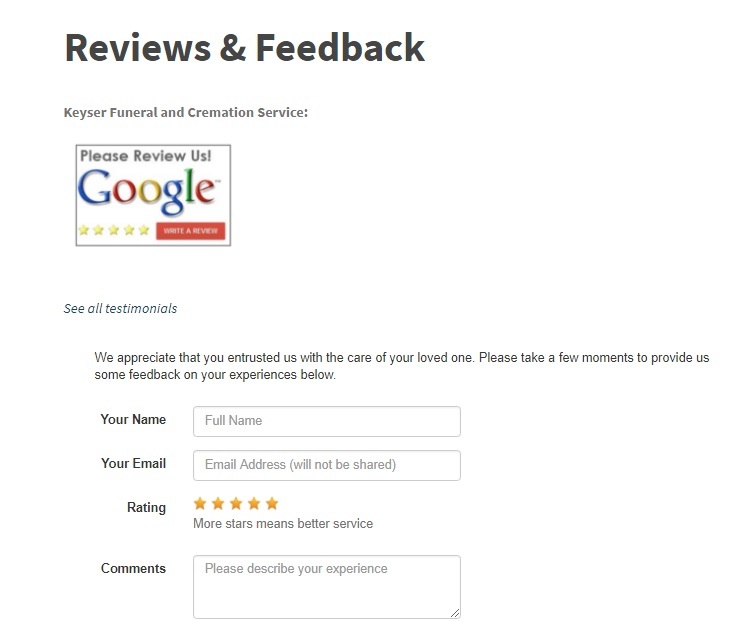 We also promote Google reviews along with our reviews in an effort to spread the word as much as possible. Our partner firms engage with their community on Facebook daily. In order to collect as many reviews as possible, we utilize Facebook as an outlet to ask families, and community members, to leave reviews. 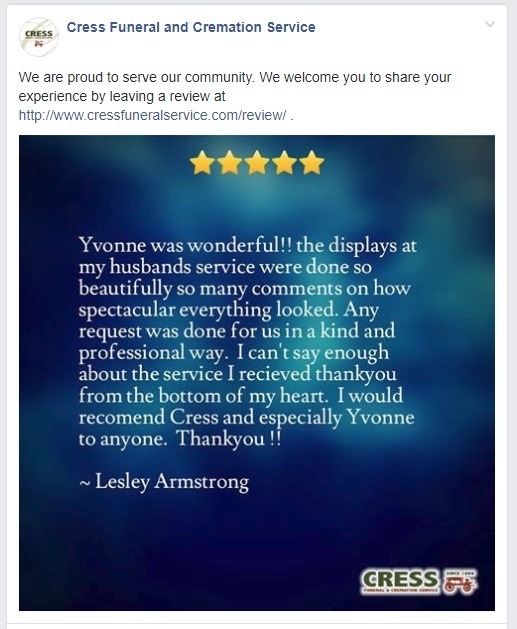 As part of our Growth Engine, we have the ability to publish the reviews you collect to your Facebook page. Once published, we also encourage others to visit your website and leave reviews. This creates an ongoing cycle of community members leaving reviews and our system asks others to share their feedback. 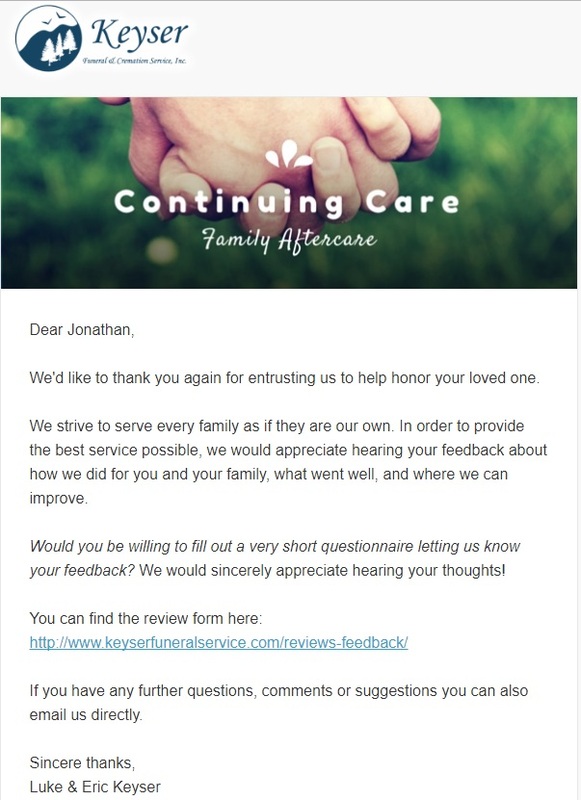 The email aftercare portion of our Growth Engine contains a touch point that asks the family for their feedback. This method has proven to be effective in guiding the family back to your website to share their experiences. Once we have helped you collect reviews, the next step is to manage the reviews. Click here to learn more about managing your reviews.